Disable virus scanner integration with Outlook; at the first sight it may seem that it is indeed a very dangerous attempt as it would allow viruses to attack the Outlook application and in turn endanger the stored data. However, it is not so and the truth is that even after disabling virus scanner integration Outlook email client remains well-protected against viruses. And probably doing this renders lesser problems as far as safety and security is considered, than when the integration of virus scanner with Outlook mail program is left enabled. Why Disable Virus Scanner Integration with Outlook? Enabled virus scanner integration causes a lot more issues in Outlook and so it is advised to disable it. Outlook errors like 0x80004005, 0040109, 0x80040119, 0x80040600, 0x80040607, 0x80048002 are caused due to enabled virus scanner integration. Some of the commonly encountered problems are related to send/ receive process of emails, time-out issues, etc. Note - There are even many more send/receive problems that occur due to integration between Outlook and anti-virus installed on the system. Operation time-out while waiting for reaction from the receiving POP server. This can be identified by the error code: 8004210A. Time-out whilst communication is going on with server. The error code indicates virus scanner integration issue that is generally linked to script blocking. Any add-in might have changed the mail message whilst sending. It is generally associated to authentication but can also occur due to corruption of PST file. This error occurs because, for the configured SMTP server authentication has been disabled. If the error continues to occur, users should contact either ISP or server administrator. This error occurs if any enabled add-in changes the email during sending. How is Outlook Safe Even with Disabled Virus Scanner Integration? The reasons as to why it is suggested to disable virus scanner integration are mentioned and explained here in this section. 'Reading Pane' Provides Safety – When emails are viewed in Reading Pane of Outlook the in-built security does not allow any code to be executed. Hence, it is impractical for any attached virus to infect the mail program in such a case. It is only when email is double clicked that the code runs and infects the mail client with viruses. Attachment Scanning and Blocking – Outlook restricts double-clicking on some email attachments that are suspected to have virus, as a precaution. In case there is another attachment including virus, the on-access scanner that runs in the background of the scanner blocks it from execution, thus protecting Outlook. On-access scanner is a component of the virus scanner that runs on the computer. No Added Security with Integration – Having virus scanner integrated with Outlook does not increase the security level. This is because the on-access scanner utilizes the same anti-virus settings as the scanner integrated-with Outlook does. Therefore, virus scanner integration can be disabled without any danger while remaining safe and secured. 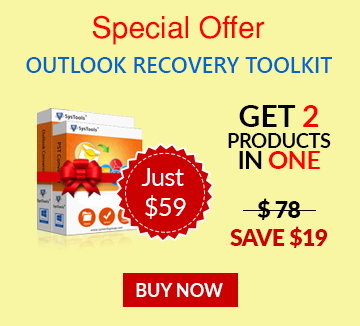 How to Disable Anti-Virus Tool Integration with Outlook? The following ways can be adopted to disable virus scanner integration with Outlook email program. Uninstall & Install Anti-virus Application – The anti-malware software should be completely uninstalled and then reinstalled. Moreover, if the virus scanner firm provides an additional cleanup utility, it should be executed. However, while reinstallation care should be taken not to install the email scanning part. By Use of Microsoft Security Essentials - If any virus scanner does not allow disabling its integration with Outlook or if it renders various alerts such as: 'You are unprotected', Microsoft Security Essentials can be used as an apt alternative that is available free-of-cost. Disable by Disabling Add-ins - Sometimes virus scanners present themselves as add-ins of Outlook. In such cases they can be removed by disabling the particular add-in. However, this can result in security alerts by the anti-virus and Windows too if the particular scanner notifies Windows about the same. Click upon either the Add-In Manager… tab or the button COM Add-Ins…depending on the add-in(s) to be disabled. Click on the dropdown menu named 'Manage', located at the bottom of the Add-in window and select the add-in(s) to be disabled. Note – In all Outlook releases, for some add-ins to get disabled Outlook needs to be restarted. Disable Integration by Scanner's Control Panel - The disabling of virus scanner integration with MS Outlook is not always simple and relies on the anti-virus being used. The ones that have control panel the component can be disabled. This may result in problem sometimes when they disable the functioning and not their integration with the email client. Note – Though easy these are some useful methods that can be employed so as to disable the integration of installed virus scanner with MS Outlook desktop email client installed and configured on the machine.